Oolong teas are more oxidized than green teas but less than black teas. This creates a sweeter and more delicate tea than you may expect from black tea. Oolong teas are generally infused without milk, although milk may be added to soften the taste. Most, however, enjoy the naturally floral notes of many oolong teas and choose to drink it straight. Happy 150th Canada! Our maple tea boasts ingredients from all corners of the world, with hints of chocolate and a touch of spice. 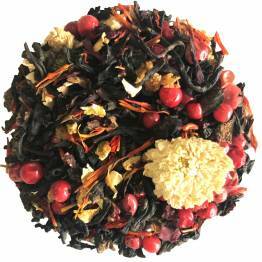 A sweet fruity citrus aroma and flavor mark the top notes of this complex dark oolong. 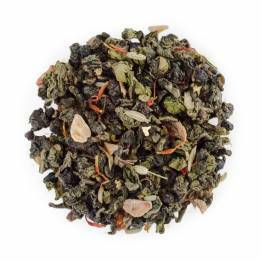 A high-grown green oolong with a distinctive floral aroma and slightly sweet taste. Complex profile, chocolaty, earthy, bold and strong, with a surprisingly floral infusion. Incredible.